Fright-Rags releases THE STRANGERS: PREY AT NIGHT tees! My love for Fright-Rags continues to grow. They've just released a sweet set of The Strangers: Prey at Night merchandise. You can cop yours here. My The Strangers: Prey at Night hits theaters today, and Fright-Rags celebrates the long-awaited sequel with merchandise featuring the film's mysterious killers. Dollface, Pin-Up Girl, and the Man in the Mask are depicted on three shirt designs, crew socks, and a set of three enamel pins. 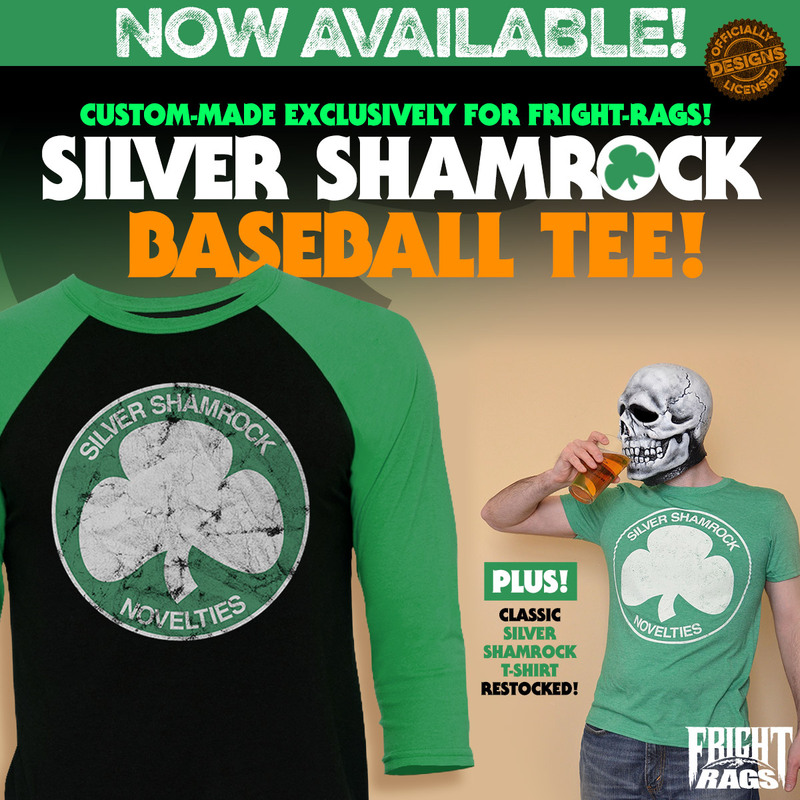 And if that's not enough to wet your appetite, then check out their awesome lineup of Army of Darkness and Silver Shamrock (Halloween III: Season of the Witch) gear.